Located in Spring Valley. Pregnancy testing, peer counseling, post-abortion support, referrals, childbirth classes, support groups, and maternity and baby clothing. Located in Garland. Contains educational articles about pregnancy, abortion, adoption, birth, and post-abortion recovery. Pregnancy tests, abortion information, post-abortion support, and parenting skills program. Located in Shrewsbury. Pregnancy tests, abortion information, post-abortion support, and parenting skills program. Information on pregnancy, abortion, childbirth, parenting and adoption. Practical assistance provided. Referrals made for community services. Post-abortion counseling. Single Moms Care Group, Post Abortion, Hope and Healing (miscarriage and still births), New Moms (parenting skills) post adoption and infant care support groups. Medical clinic for first trimester of pregnancy and pregnancy verification. Located in Thousand Oaks. Information on pregnancy, abortion, childbirth, parenting and adoption. Practical assistance provided. Referrals made for community services. Post-abortion counseling. Single Moms Care Group, Post Abortion, Hope and Healing (miscarriage and still births), New Moms (parenting skills) post adoption and infant care support groups. Medical clinic for first trimester of pregnancy and pregnancy verification. Interdenominational Christian ministry offering pregnancy testing, clothing, peer counseling, post-abortion support, and referrals to other resources for women in crisis pregnancies. Publicly funded clinic providing services for women with unplanned pregnancy including pregnancy testing, counselling, abortion, and contraception. Publicly funded clinic providing services for women with unplanned pregnancy including pregnancy testing, counselling, abortion, and contraception. Adelaide, South Australia. Offers information on its programs and services, including pregnancy tests, information about pregnancy options, and post-abortion counseling. Offers free pregnancy tests and abortion alternatives. Offers pregnancy testing, peer counsel, parenting education, and post-abortion recovery. Abortion, non-surgical abortion, gynecological and obstetrical services, as well as free pregnancy tests. In Forest Hills, Queens, New York City. Offers pregnancy tests, ultrasound, maternity and baby supplies, peer counseling, referrals, and post-abortion recovery. Located in Bangor. Offers pregnancy tests, peer counseling, referrals, and after-abortion recovery. Pregnancy testing, post-abortion support, abstinence education, maternity and baby clothes, and other resources. Offers pregnancy testing, peer counseling, abortion recovery, referrals, and maternity and baby supplies. Located in Lubbock. Offers pregnancy testing, peer counsel, parenting education, and post-abortion recovery. Pregnancy tests, referrals, clothing and furnishings, parenting classes, and post-abortion support. Pregnancy testing and ultrasound, peer counseling and education, maternity and baby supplies, and post-abortion recovery. Offers pregnancy tests, ultrasound, maternity and baby supplies, peer counseling, referrals, and post-abortion recovery. Located in Detroit. Nine affiliated locations in northeastern Ohio. Site addresses adoption, abortion, parenting, pregnancy counseling, FAQs and Center information. If the business hours of Care Net Pregnancy Center of Rockland County in may vary on holidays like Valentine’s Day, Washington’s Birthday, St. Patrick’s Day, Easter, Easter eve and Mother’s day. We display standard opening hours and price ranges in our profile site. We recommend to check out carenetrockland.com for further information. 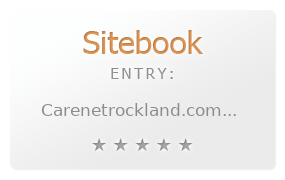 You can also search for Alternatives for carenetrockland.com on our Review Site Sitebook.org All trademarks are the property of their respective owners. If we should delete this entry, please send us a short E-Mail.